Such a heartfelt drawing! I love this! Thank you so much for the kind words and the L/Fav and the votes. Your work is beautiful. You're a phenomenal artist! Very well done. I really like the way you've shown the friendship they have. Congratulations, you art is featured on the homepage of "Created by my Hands". Glad to see this in a contest. Definitely one of my favorite pictures from you. Such a wonderful, touching piece! 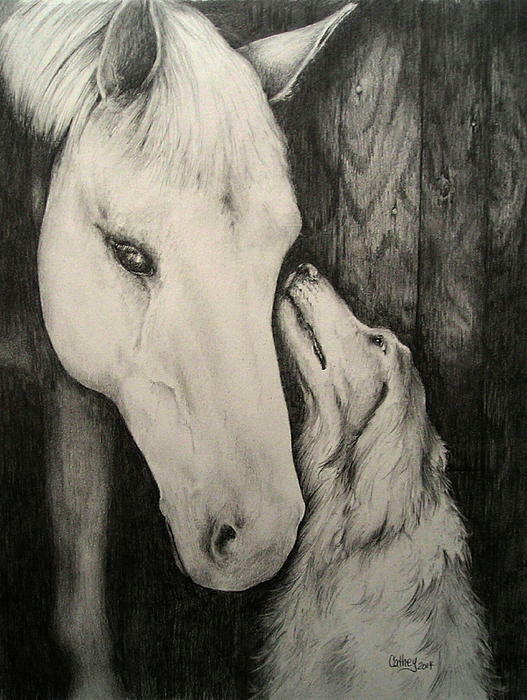 "Friends" is a pencil drawing. Also available in sepia tone. 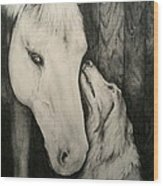 Featured in "Dog Art" February 2014. Featured in "Our 4-Legged Friends" March 2014. Featured in "Pencil". March 2014. Featured in "On The Hospital Wall" July 2014. Featured in "Created By My Hand" August 2014. Featured in "Images That Excite You" September 2014.